"Powerful, realistic and moving - I wept." Roger Rees is the author of books such as: Parents as Language Therapists, Re-writing the Script – the Effect of Context on Behaviour, Interrupted Lives: Rehabilitation and Learning Following Brain Injury, Out of Calamity-Stories of Trauma Survivors. A regular contributor to the ABC, RN Science Show with broadcast scripts such as: Humour as Medicine, Music and the Mind, Sailability and Stroke, The Battle for the Injured Brain, Seeing with the Brain is Imagination – a Profile of Oliver Sacks, among others. He has spent time in Ethiopia as preparation for his latest book – the novel No Turning Back. He is Emeritus Professor of Disability Research in the School of Medicine at Flinders University, Adelaide. This site is a platform to identify Roger Rees’s writing and highlights of his career as: a writer, broadcaster, teacher and trauma consultant. His work has been published in Australia, the US and UK. His presentations and readings have occurred at conferences and workshops in Australia, New Zealand, US, UK, Canada, Spain, and Malaysia. No Turning Back now on Book Depository! Louise Davitt, a young Australian anthropologist, and Zeno Wolde, an Ethiopian doctor and fellow anthropologist, research and explore isolated villages and tribal lands in Ethiopia, making fascinating discoveries about the people, the environment and themselves. Poignant but also enriching, here is a narrative that touches the core. While the storyline is descriptive, it’s heartening to learn that Rees, an academic and author, travelled to Ethiopia and walked with the Hamar tribe in preparation for this book. Young Australian anthropologist Louise Davitt, embarking on an Ethiopian field trip, is soon living with the world’s poorest people and sampling their culture in her typical adventurous, passionate and unconventional way. No Turning Back is a story of a girl who grows up loving country Australia and later tries to implement change in the lives of African women. The dots on the plains far below were gazelles, zebras, elephants, buffalo and there were probably leopards in the thorn trees, and a lion pride or two. She felt the stirrings of an even deeper passion for Africa and, with it, a longing for a fulfilled life with Zeno. She wondered if they might have a child together. And if they were to be together, could Australia be included in their life in Ethiopia and Kenya? 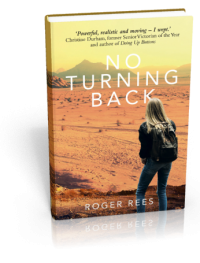 Please join us on Sunday December 3rd at 2-00pm Goolwa Regatta Yacht Club Barrage Road Goolwa for the launch of the novel No Turning Back by Roger Rees. This story has its origins in meetings with people from Adelaide, London, San Francisco, New York, Nairobi and Addis Ababa, Arba Minch and Bahir Dar, Ethiopia. However, my characters, their views, personalities, relationships and circumstances are entirely fictional. Dr Rees' focus is on how a person's skills and talents might be nurtured, irrespective of his or her disability. Whenever necessary and possible I use poetry in clinic and teaching sessions with people who have experienced trauma and its significant, disabling after-effects. The February edition of Readers Digest included an advert for Out of Calamity. Dr Rees collection of stories of survivors of brain injury, Out of Calamity is now available for download on the Amazon Kindle. Recently Dr Rees spoke on the ABC National Radio program Ockham's Razor. He shared his research and findings on the healing power of music in brain injury rehabilitation. The April addition of InPsych magazine includes an article by Dr Roger Rees on the experience and impact of trauma injury on the victims and their carers. 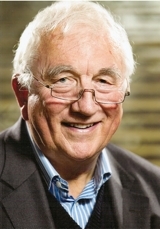 © 2019 Trauma Rehabilitation - Emeritus Professor Roger Rees.